It is well understood that species assemblages vary through space and time across aquatic and terrestrial landscape typologies. The relative differences in sensitivity profiles to chemical exposures of these assemblages (and their life stages) are poorly understood as are potential consequences of these differences for ecosystem functions and the services they provide. This uncertainty reduces the ability to refine current generic protection goals, i.e. protecting the most sensitive species anywhere, anytime, towards a more pertinent assessment of environmental heterogeneity in species assemblages over space and time. Regulatory frameworks and policy makers, particularly in the plant protection products sector, are increasingly requesting community-to-ecosystem level assessments of potential effects of chemicals in the environment. This trend is expected to continue and, in the longer term, extend into other chemical sectors. The project will increase the scientific knowledge of community sensitivity, and how this varies in time and place, thereby bringing the potential to tailor risk assessments according to receiving-environment vulnerability and to target risk mitigation measures where they are most needed. do we have enough data on species assemblages to reliably classify them, ultimately with respect to potential sensitivity to chemical exposure? if species assemblages can be classified can their occurrence be predicted from landscape characteristics? can we infer species sensitivity from existing inter-species sensitivity relationships? Would environmental heterogeneity require too many typologies for practical application to risk assessment? Does variability in species assemblages through space and time have implications for chemical risk assessment and, if so, what approaches could be taken to enhance the environmental relevance of these risk assessments? How could the potentially increased complexity in higher tiers of Environmental Risk Assessment be made manageable? Use existing geographic data to cluster the pan European landscape to explore the number and statistics around land units. Build on recent work e.g. ECETOC TFs “Ecosystem Services and Chemical Risk Assessment”; “Geospatial approaches to increasing the ecological relevance of chemical risk assessments”; LRI ECO27; ECO28; ECO45, and evaluate potential use of recent initiatives on geo-spatial mapping of European habitats, species and ecosystem services (1, 2). Review existing databases/literature on European species assemblages and assess availability of models to predict assemblages from landscape (terrestrial and fresh water) characteristics. Compare different approaches to infer species sensitivity from existing inter-species sensitivity relationships. Although undertaking substantial experimental work may not be feasible, this could involve an assessment of the need for experimental work to fill data gaps, e.g. with a focus on toxic mode-of-action. 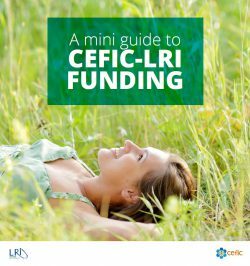 Download here the full version of the RfP LRI-C50.